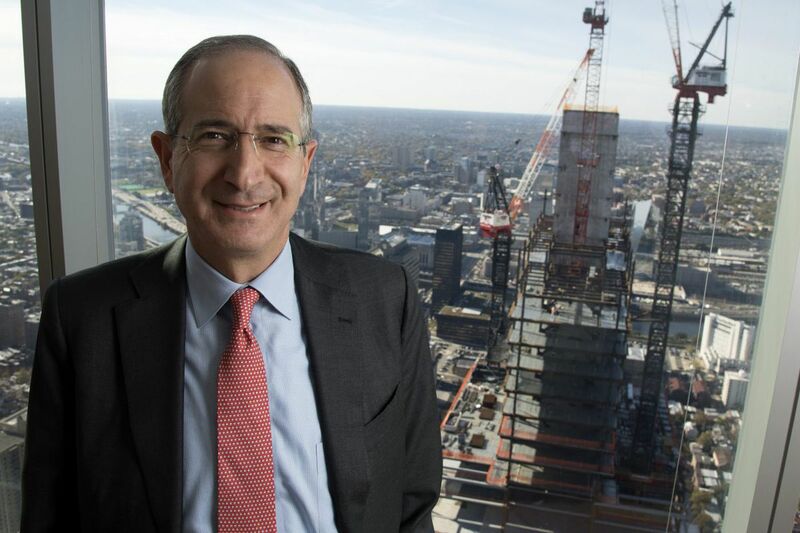 Comcast Corp., the target of shareholder protests in years past, will hold its second online-only shareholders meeting Thursday — no face-to-face encounters between peeved shareholders and CEO Brian Roberts. Comcast says the virtual format is more convenient and cheaper than traditional in-person gatherings, previously held at the Wells Fargo Center, the Pennsylvania Convention Center, and the Kimmel Center performing arts hall. But Comcast activists this week weren't buying it. They say that shareholder questions can be screened by Comcast management and that the virtual meeting precludes activists from buttonholing corporate directors, who were compensated $5.7 million in 2016 as shareholder representatives. "This is the opportunity for shareholders to have a voice," said Tom McCaney, the associate director of corporate social responsibility for the Sisters of St. Francis of Philadelphia. "It's the only voice we have." Said Jeffery Perkins, executive director of the Friends Fiduciary, "We do not believe it is too much to ask Comcast directors to show up once a year at the [annual shareholder meeting] to meet and interact face-to-face with the share-owners of the company they represent." The Friends Fiduciary is part of a coalition, with the Sisters of St. Francis religious order, that filed a shareholder resolution seeking Comcast to more fully disclose its "grassroots" lobbying expenditures. Comcast says it discloses millions of dollars in lobbying expenditures and has recommended that shareholders vote against the resolution. Friends Fiduciary is a nonprofit with headquarters in the 1600 block of Arch Street that manages $400 million for Quaker meetings, schools, and retirement communities in a manner consistent with Quaker values. "Our constituents are concerned about dark money flowing into politics," Perkins has said. The group has backed the shareholders' resolution on lobbying disclosures in the past but has been more assertive this year, meeting with Comcast officials and posting a 2,300-word letter on the U.S. Securities and Exchange Commission website. Comcast says it doesn't screen questions at the virtual shareholder meeting. But it also doesn't expect Roberts to repeatedly answer the same questions. "The one we held last year was very efficient and we had higher attendance than the prior year," spokesman John Demming said of the virtual meeting. He did not have specific attendance numbers. Demming said that Comcast executives reach out extensively to institutional shareholders to inform them on the cable and entertainment giant's operations over the year. Comcast also has enacted a governance change called "proxy access," which would allow a group of 20 shareholders who collectively own at least 3 percent of the company's stock for years to nominate two directors to its board. Online meetings are gaining popularity. Broadridge Financial Inc. provides the platform for Comcast's virtual shareholder meeting. It notes that 134 companies held virtual shareholder meetings in 2015, rising to 187 in 2016. And 57 percent of those firms last year were small-cap companies, Broadridge spokeswoman Linda Namias said. A review of regulatory filings shows that Comcast's peer corporations, among them Verizon Communications Inc., AT&T Inc., the Walt Disney Co., and Charter Communications, still hold in-person meetings. Twenty-one Fortune 500 companies held virtual meetings on the Broadridge platform last year, Namias added. Broadridge offers companies the option of holding virtual video, virtual audio or hybrid meetings. Hybrid meetings are a combination of a virtual and an in-person gathering — a streamed meeting with people also gathering in a venue. Perkins, of Friends Fiduciary, favors this option. Comcast, the nation's largest cable-TV company, holds a "virtual audio" online meeting, which means that it streams the voice and presentation materials but no video.